Optimus Ride’s self-driving electric cars could soon be transporting passengers at the Union Point development in South Weymouth. A Boston-based self-driving car firm is headed to the South Shore, where it expects to cart passengers around a former Naval air base turned sprawling development. Optimus Ride has a deal with the developer of Union Point in South Weymouth that will pay it to operate autonomous vehicles as a transportation benefit across the 1,400-acre site. For now, the company is running tests on Union Point’s streets, using two lightweight electronic vehicles that fit four to six passengers. But it expects to haul passengers around the development site as part of a pilot program at some point in 2018. Optimus Ride, an MIT-spun company that announced more than $20 million in new funding this month, is already testing vehicles in South Boston. A driver and engineer stay in the vehicle for safety purposes during the testing. 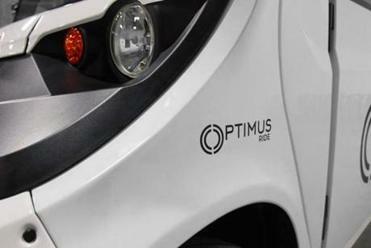 Public filings show that Optimus has tested electric vehicles in Boston made by the outdoor sports company Polaris, which resemble long golf carts. Driverless car companies have been exploring different business models, including as fleets for ride-hail services or marketed directly to consumers like traditional cars. Others imagine business models similar to the Optimus-Union Point relationship, with a driverless company operating a fleet as a service for a client such as a developer or government entity. A massive site straddling three communities, Union Point already has about 850 housing units and 2,000 residents. That is only a fraction of its potential, and its developer, LStar, envisions a mini-city of dozens of buildings, a mix of housing, offices, shopping, and open space. LStar declined to define the terms of its agreement with Optimus Ride, but said it anticipates a long-term partnership. 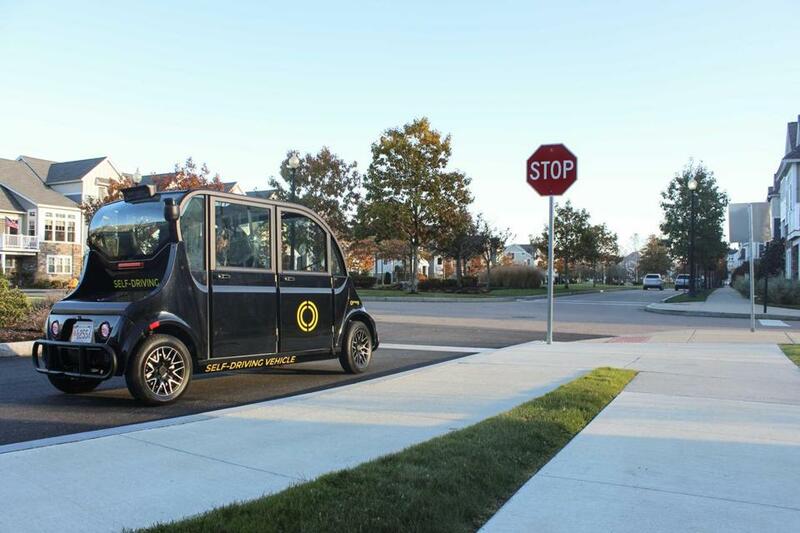 In the short term, passengers may be able to test out on-demand rides or fixed-route shuttles in Union Point, and LStar imagines Optimus operating an array of vehicles, even garbage trucks. Optimus Ride officials say their vehicles could be used as a service for both developers and government agencies. Union Point is one of several dozen Massachusetts sites vying for Amazon’s second headquarters. It listed Optimus Ride’s upcoming service as a feature in its Amazon submission. It’s not clear whether Optimus needs further permission to operate on Union Point’s private property. The state Department of Transportation said it hasn’t granted permission to move passengers, but Chin said Optimus has been in contact with officials about the plan. Optimus could become the first company in Massachusetts to provide passenger rides in autonomous vehicles, though it will face some competition for that label. Another Boston-based company, nuTonomy Inc., received permission from city officials to provide passenger trips in South Boston. NuTonomy, which was recently acquired by auto parts dealer Delphi, has not yet announced any plans to start those rides. Other self-driving passenger services are already active, such as in Pittsburgh, where the ride-hail giant Uber has provided rides in autonomous vehicles since last year. For now Uber has a driver stationed behind the wheel, but the company said it will be prepared to offer truly driverless service in an American city in a little more than one year. Google’s sister company Waymo has also tested passenger services in Arizona, and recently announced it would offers rides to passengers in vehicles without a driver in the front seat. Corkum said Optimus will have a safety driver present at Union Point, but the cars will be on private roads with no occupants, so it can test fully autonomous operations.